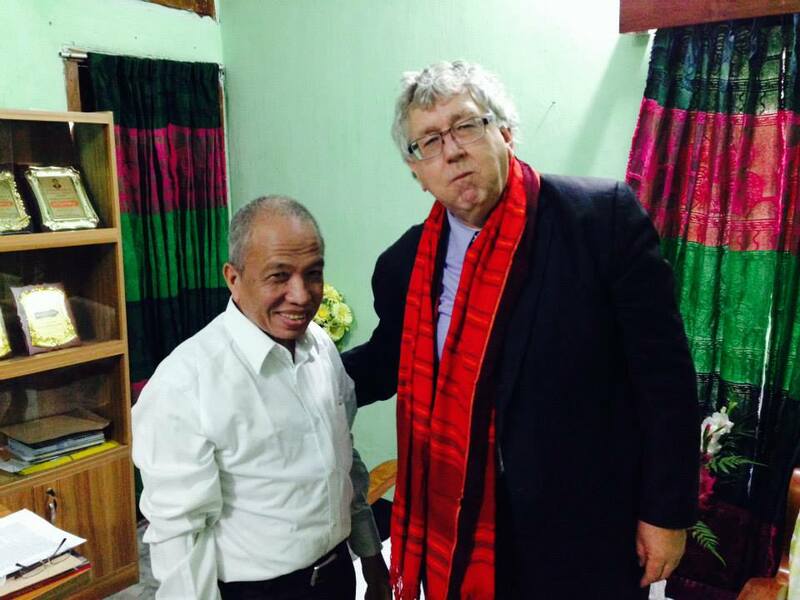 Ingleburn, December 24, 2014 (Alochonaa): Admittedly, an eight day study tour of Bangladesh cannot provide a thorough overview. However, I received extremely professional assistance from our High Commission staff and can honestly say that the interlocutors I encountered, whether in administration or international agencies, were superb. I have undertaken 6 or 7 study tours and this was the most valuable. I will start with two interrelated subjects of my trip. Firstly, after encountering a Bangladeshi diaspora in Australia that entered through skilled migration which involves English testing, I was unprepared for the dominance of Bangla in the society. Whether on the streets or in advertising boards, it was omnipresent. This of course is replicated in the country’s recognition of Mother Tongue Day and the seminal role of language in the Liberation struggle. Related to this is Bangladesh’s reliance on migration as a key element of economic development. It now produces 13% of GDP. The International Organisation of Migration was very positive about the Government’s work on documentation authentication, skills acquisition and labour agreements with other nations, an area where Filipino experience has been utilised. However, the nation faces a challenge in preserving an entire language/culture and upgrading English for migrants. A negative aspect was that many garment manufacturers are not appreciative of how widespread Western consumer concerns with safety are growing. On this front I am not referring to the Tamishna plant which I visited and with which I was very impressed. Some Bangladeshis ask why the world is not looking the same way at Cambodia and Vietnam, and they point out how women get employment in textiles but these arguments are not as important as safety. The world will be very interested in safety committee elections and while minimum wage changes and factory access seems to have been fairly successful, these committees and the right to organise unions do matter. Australian agitation has been mild, but could be as intense as European and North American agitation if things don’t hasten. I was of course impressed by Bangladesh’s monumental success with limiting population growth. I had become aware of this through an Indian economist’s lecture at the UN in 2012 but it was reinforced on my visit. It is all the more impressive given the level of underage marriages. My visit to the Chittagong Hill Tracts confirmed the urgency of implementing the 1991 Peace Accord provisions in regards to a Regional Council with real authority and actions on the land ownership issue. Having campaigned for Rohingya rights in Australia it was disturbing to hear of informal migration into the CHT by this community. The tragic arson attacks upon indigenous homes and shops at Naniachar on Victory Day were a reminder of the seriousness of this issue. I found the English language print media extremely open, in actual fact far more critical and reliable than Australia’s Murdoch media. Discussions with Government officials elicited emphasis upon the huge crisis the nation faces from climate change. The lack of Indian, as opposed to Chinese and Nepalese, cooperation on water movements means less notice than is desirable can be given of flash floods. The World Bank stressed both constructive work being done on alternative crops, better suited to salinisation but also to the continuing crisis of Dhaka’s waste disposal and the need to improve urban construction approval processes. I was not aware that rather than being a positive factor for better Indian-Bangladeshi cooperation, high levels of West Bengali influence on the central government were a negative due to water and boundary disputes.